Tickets are now on sale for the Yuletide Madrigal Feaste presented by the Indiana State University School of Music. 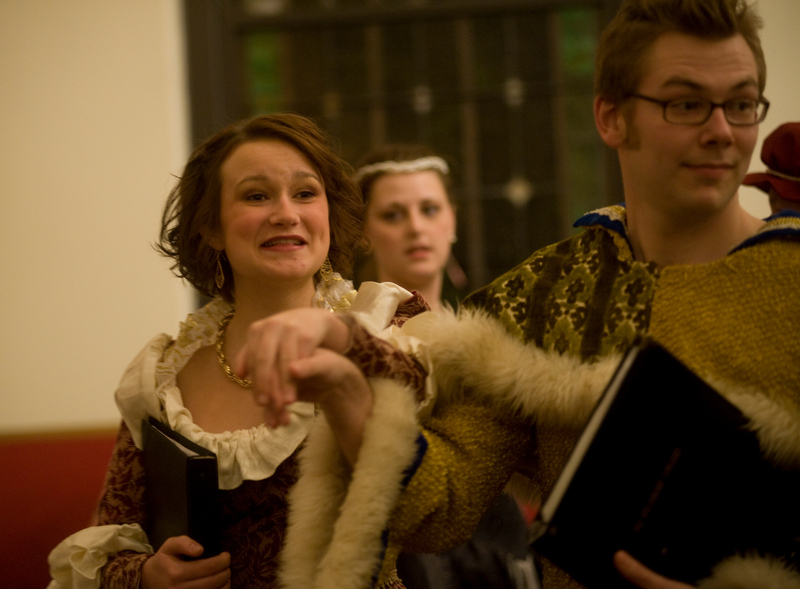 Now in its 69th year, the Indiana State Madrigal Dinners are a re-creation of the Renaissance feasts held in the great baronial halls throughout England during the 12 days of Christmas. If you lived in England during the 16th century and were lucky enough to be one of the favored guests, you would be dazzled with the stunning pageantry, bawdy humor, endless amounts of succulent food and extraordinary music. The line between sacred and secular would be thinly drawn. One moment you might be regaled with the most risqué humor, and the next, you might listen to, or sing, the most exquisite and ethereal sacred music. "This event should be a highlight of Terre Haute's holiday activities," said Scott Buchanan, director of choral activities at Indiana State. "An evening of wonderful music with singers, period costumes, and exquisite food in a beautiful venue ... what more could you ask for to usher in the Christmas season? Everyone involved in this venture takes great pride in producing an unforgettable evening for our guests, and we look forward to sharing the holiday spirit with them. We encourage folks to make their reservations early, as there are only 100 seats available for each performance." 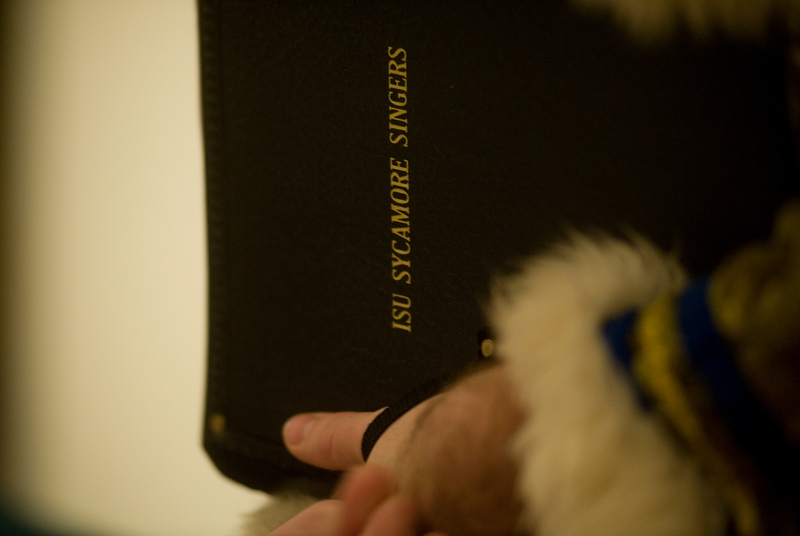 The cast will include the Indiana State Sycamore Singers and Brass Quintet. The meal, catered by Crossroads Café, will include traditional wassail, cranberry Christmas salad, roasted pork loin, breaded stuffing, roasted red potatoes, green beans, rolls and black forest cake. The shows are set for 7 p.m. Dec. 8-10 at St. Stephen's Episcopal Church, 215 N. 7th St. Make reservations by calling 812-237-4590, or purchase tickets for $30 each through Dec. 2 at the choral office of the Landini Center for the Performing and Fine Arts, room 222. The shows are set for 7 p.m. Dec. 8-10 at St. Stephen's Episcopal Church, 215 N. 7th St. Tickets are available for purchase at $30 each through Dec. 2.